When you ask senior government officials to tell you the exact population of Nigeria, you are more likely to receive a guesstimate of the country’s population. The reason for this is simple. No one knows the current population of Nigeria because the last head count was conducted 12 years ago in 2006. Even officials of the National Population Commission (NPC) who ought to know rely on approximations. This is the context in which we should understand why many people were perplexed when the NPC chairperson, Eze Duruiheoma, was quoted to have said in New York, United States last week that Nigeria’s population was estimated to be 198 million. The initial question that followed public indignation over the shocking statement was: how did he arrive at that figure? When was the last time Nigeria conducted official census of its population? About four years ago, the nation was informed there would be another census in 2016. Unsurprisingly, it didn’t happen. The question about when Nigeria would conduct another census to update the obsolete 2006 data is all up in the air. Two years ago, the World Bank said that Nigeria’s population was 186 million. If our population jumped to 198 million from 186 million, as the NPC chairperson claimed, it implies that more than 33,707 persons were born every day in Nigeria in the past two years. This figure cannot be right. It flies in the face of reality. It has exposed the lie in the claim that Nigeria’s population is 198 million. Giwa is right. Organising credible census in Nigeria has been as problematic as planning for free, fair, and hitch-free elections. Previous head counts were marred by allegations of inflation of figures, questionable data, and inclusion of domestic animals as human beings. Human population census in Nigeria has been undermined by regional, religious, and ethnic politics and sentiments. While it is important for every country to have current census data, it is equally important that the population figure must be genuine and reliable, not something garnered through open chatter in a marketplace. Every country needs reliable and accurate population census for a whole lot of reasons. When the last official census was conducted in 2006, the National Population Commission said there were 140,431,790 people in the country. That result was heavily contested. Some people said the figure was a blatant miscalculation of the country’s authentic population. Everyone is now hoping that whenever the next census is conducted, the NPC would produce a less contentious population figure. 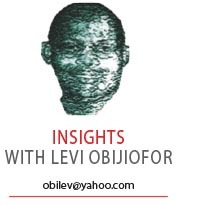 There is a history of lack of thoroughness in producing accurate census data in Nigeria. Previous experiences were controversial because the figures presented to the nation were inaccurate and manipulated. What we learned from previous head counts was that Nigeria lacked the capacity and goodwill to conduct accurate census of its population. Even Fashola, a senior government minister, said Nigeria’s population had been floating erratically between 160 million people and 180 million people. Surely, lack of accurate and current census data will have undesirable consequences on a series of government services, policies, and plans relating to the economy, healthcare, education, infrastructure, agriculture, small and medium-scale businesses, manufacturing, and jobs. Government cannot operate successfully or provide effective services if it has no knowledge of the current population of the country. Fashola drew on his experiences during the last census in 2006 to provide evidence of the crooked nature of conducting census in Nigeria. He said: “… we worked with the National Population Commission (NPC). When they returned a number of over nine million, it was clear that it has become, Fela’s words, ‘government magic’… I recalled very clearly that for 11 nights and 11days, we did not sleep… And the population commission told us that they were going to enumerate households and the definition of a household is one family of husband, wife and children. At the end of the exercise, we enumerated 4.5 million households in Lagos. Yet, they returned with only nine million as Lagos population. It meant that all households ‘in Lagos have only husband and wife, and no children’”. Why are census officials and other criminally oriented citizens keen to inflate census figures? One reason is the misguided assumption that census data are used to determine areas of the country from which new states would be created. This echoes the politics of state creation. Another reason why some people try to fiddle with population figure is the belief that population data influence the distribution of federal resources. This bizarre frame of mind drives popular thinking about the importance of national census. Regardless of the underlying objectives for this roguish behaviour, those who jack up census data illegally only help to weaken the country’s economic development and the ability of the Federal Government to provide essential services to citizens. National development plans that are based on gut feelings rather than on accurate and current data are worthless. If we do not know how many people reside in Nigeria, we cannot estimate correctly, for example, the number of jobless people and the number of job opportunities that should be created. A government that operates on the basis of wild assumptions about the national population will never produce efficient budgets that will move the country forward economically; the government cannot plan and provide sufficient funds for tertiary and primary education, and will not plan or provide adequate services to drive healthcare and infrastructure development. It is critical for Nigeria to get reliable and current data on its population. Failure to do so implies failure to identify national priorities and plan effectively.